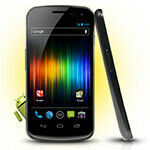 Sprint Samsung Galaxy Nexus owners, we have both good and bad news for you today. The good news is that a software update for your smartphone is due today, July 26, judging by a leaked image obtained by Techno Buffalo. However, the sad part is that it is not Android 4.1 Jelly Bean, which all of you are hoping to get soon, we presume. The update will bring the smartphone's software build version to number L700.FG01. One of the changes you might notice is the tweaked on-screen signal strength indicator, although that does not necessarily mean that you will be getting better reception. Support for Sprint TV is being added as well, which is more than welcome for folks who like to keep an eye on ESPN while on the go. Last but not least, Wi-Fi and LTE will be set to "on" by default with the new software: not surprising, actually, given that Sprint's LTE network is already operational and will keep on growing over time. So there you have it, guys! Those of you who own a Sprint Galaxy Nexus can keep an eye out for the update or just check for it manually in the smartphone's settings menu. If you notice any other changes after updating, do not hesitate to let us know by dropping a comment. ... and kiss your local search goodbye... :( As soon as I spend my $40 from sprint, my Nexus goes Cyanogenmod! I got an EVO LTE and love it, but there is something about the Galaxy Nexus and pure ICS that I like. I also like Sense but may be picking up the GNex to swap phones every few weeks. I will seriously consider the next Nexus smartphone, especially if it's an HTC or Motorola (not likely).